After a string of M&A deals in the HFT space at the beginning of the year, does it spell an end to the traditional HFT business model? Writes Joe Parsons. After the publication of Michael Lewis’s “Flash Boys” in 2014, the high-frequency trading (HFT) firms dominating financial markets in the shadows were brought to light. They were pictured as predators, using high powered computers to execute trades at a millionth of a second, putting other market participants at their mercy. Fast forward a few years later and the big bad HFT monsters don’t look quite so flash or scary. With the volatility index (VIX), also known as the ‘fear gauge’, at an all-time low, HFT firms are now facing a challenge they never thought they would have to face: making money. It has forced some of the big players to make some radical decisions, with consolidation taking hold. The shock announcement that Virtu Financial will take over KCG in a massive $1.4 billion deal (which stole the show at this year’s FIA Boca conference in March) was the first major acquisition to arise out of 2017. The decision from KCG to merge with its long-time rival could have been motivated out of declining profits. KCG had struggled outside of its US equities business in 2016, as revenues for non-US market making in the fourth quarter plummeted 60% to just $17 million in comparison to $43 million in the first quarter. This was followed up with news Houston-based Quantlab Financial would buy a high-speed trading business from Teza Technologies for between $20-30 million. Finally Two Sigma Securities, the market making arm of Chicago based quantitative hedge fund Two Sigma, will purchase the options trading business of Interactive Brokers. Tumber Hill, Interactive Brokers options market making unit, said it would shut down after 25 years of operation, following a reported $22 million loss in market making in the first quarter of 2017. The wind down of the unit is expected to cost the company an estimated one-time cost of $25 million. So why has consolidation become the order of the day? Alongside a decline in profits, one motivation to merge is to expand into new asset classes. “The acquisition of KCG shows the continuing competitive spot that marketplace is in. It has become more competitive for the HFT industry in general, and I wouldn’t be surprised to see more consolidation in that space. 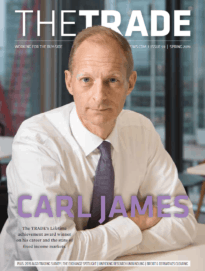 You will see some of the true proprietary traders merge as an expense cutting play and as a way to move into new asset classes,” says Carl Gilmore, president, Integritas Financial Consulting. What is noticeable from these deals is that HFT firms are struggling to make money on speed alone. “It has become such an arms race that it is impossible for the traditional business model to compete,” adds Gilmore. With this, HFT could turn away from its traditional arbitrage trading models to more of a ‘quantamental trading’ model, which combines fundamental and algo-driven quantitative trading. 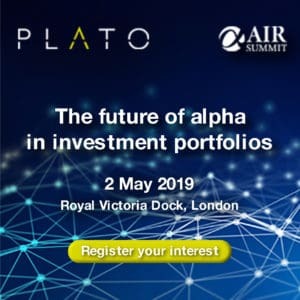 This will involve the adoption of big data techniques and the use of predictive analytics tools in order to generate alpha. However Peter Farley, senior marketing strategist for capital markets at Misys, argues that this might not be the most profitable tactic. “Many of these more fundamental-led strategies are already the preferred tools of many hedge funds and it is in danger of becoming a crowded (and hence less profitable) space. Profits from HFT are estimated to have peaked for the industry at close to $5 billion in 2009. It is thought that now it is probably less than a billion dollars, spread over many more players,” he says. Other market participants are seeing the increasing number of HFT mergers as the latest phase in the US financial markets, with consolidation in the HFT space a reflection of where business models are in the innovation cycle. “It is in the maturity phase where M&A will happen to reduce cost, increase market share, and acquire talent to help diversify into new markets,” says Rob D’Arco, CEO of Rival Systems. MiFID II is also expected to bite the HFT industry hard. With stricter rules around dark pools and block trading, some foresee a separation between HFT and low latency trading among the big prop shops. “This trend is also likely to be exacerbated by the new rules due to come into force next year under MiFID II. In particular, new rules limiting the volumes of individual shares that can be traded through dark pools, the sort of venues HFT-led trading strategies reply upon,” says Misys’ Farley. For market making post-MiFID II, Farley explains some of the HFT firms could be encouraged to act as systematic internalisers (SI) for certain instruments, including derivatives. However, the problem here is that they would not be allowed to directly match buyers and sellers. “The consequence of this, however, could be the disintermediation of many existing exchanges, something the authorities will not want to see at a time where they are encouraging more transparency by forcing more OTC derivatives to be traded over these venues for better market surveillance,” Farley adds. HFT firms based in the US are also watching what is going on in Europe with MiFID II, and are preparing to make changes to their strategy. “There is a trend of firms getting out of heavy technology investments because they have seen the experience in Europe and they want to limit their exposure to regulation,” says Sylvan Thieullent, CEO at Horizon Software. Yet MiFID II is also presenting some opportunities, especially around agency execution and research. On Virtu’s first quarter earnings call, its CEO Doug Cifu explained MiFID II and unbundling requirements provided an opportunity to expand in Europe with the acquisition of KCG, which operates an established European market making franchise. Last year, it was reported that Virtu began talks with German asset manager Union Investment in which it would execute Union’s trades on an agency basis in Europe. With the KCG acquisition, Virtu could accelerate these talks and even approach more European buy-side firms. In February, Virtu said it had European buy-side firms “lining up” for its market making and technology services ahead of MiFID II. Where does HFT go from here? As consolidation becomes the order of the day in the HFT industry, this could have a disruptive impact of the rest of the marketplace. For example, with the acquisition of KCG, Virtu will effectively control one fifth of the US equity market. So what does this mean for market making going forward? “Any time you have consolidation with one or two firms providing all of the liquidity, you’re more likely to see short-term volatility. You’ll also have consolidation of information, and there is a lot of value in information. With consolidation in multiple asset classes there could also be a disruption in correlations,” adds Rival’s D’Arco. Furthermore, with a concentration of HFT firms providing market making services, it could spell a return for banks into the space, especially in the current deregulatory environment in the US. “Market making is a cyclical business, and probably over the next five years we may see those banks coming back into the market making business but with a different approach to that of KCG and Virtu, for example. Ultimately we will see new initiatives based on electronic trading,” adds Thieullent. Ultimately, it seems the Jurassic period where HFT dominated trading will likely come to an end. As a standalone capability, HFT will likely diminish in importance. But that is not to say it spells the end of all HFT firms. As mentioned, the business model for HFT firms will have to change radically in order to stay profitable. The ability for those firms to embrace new investment approaches, such as machine learning and AI, to differentiate their existing capabilities will determine their success. Some in the hedge fund industry have already made headwinds in this area, with Man Group, the world’s biggest hedge fund, appointing its first head of machine learning for its GLG subsidiary. HFT has definitely become less flashy, and it will be no surprise that in five years’ time, those predatory HFT firms will be rebranded as technology providers.